To see the derivation of the equations for this problem refer to the Ball & Beam: System Modeling page. As you can see the system has two poles at the origin which go off to infinity along the imaginary axes. Note, that the equation with is found by assuming the system has settled when the response remains within 2% of its final value. From these equations, the damping ratio and natural frequency were found to be 0.7 and 1.9 respectively. The area between the two dotted diagonal lines represents locations where the percent overshoot is less than 5%. The area outside the curved line represents locations where the settling time is less than 3 seconds. Note that no region of the plot falls within the design criteria shown by these lines. To remedy this and bring the root locus into the left-hand plane for stability we will try adding a lead-compensator to the system. where, the magnitude of is less than the magnitude of . Now, the branches of the root locus are within our design criteria. Now that we have moved the root locus into the left-hand plane, we may select a gain that will satisfy our design requirements. We can use the rlocfind command to help us do this. Add the code [k,poles]=rlocfind(C*P_ball) onto the end of your m-file. Then go to the plot and select a point near those indicated by the cross marks on the plot below. Note that the values returned in your MATLAB command window may not be exactly the same, but should at least have the same order of magnitude. Now, we can plot the response with this gain. 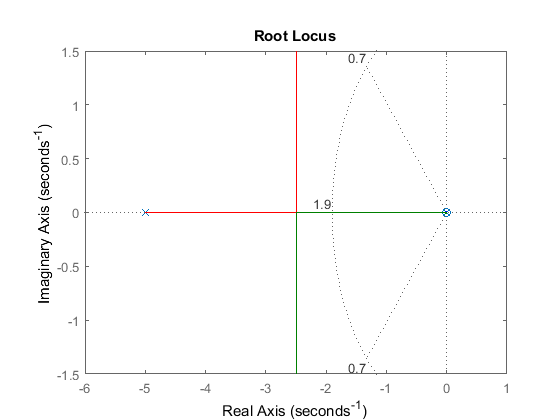 This value of k can be put into the system and the closed-loop response to a step input of 0.25 m can be obtained. Add the following lines to your m-file to perform this analysis. 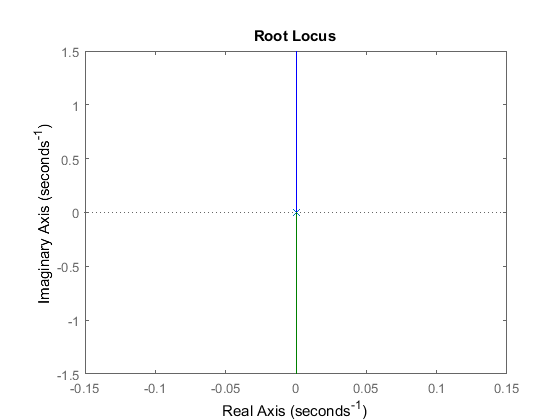 Run your m-file and select a point on the root locus similar to the selected point above. The step response should look like the following. From this plot we see that when a 0.25-m step input is given to the system both the settling time and percent overshoot design criteria are met. Note: A design problem does not necessarily have a unique answer. Using this method (or any other) may result in many different compensators. 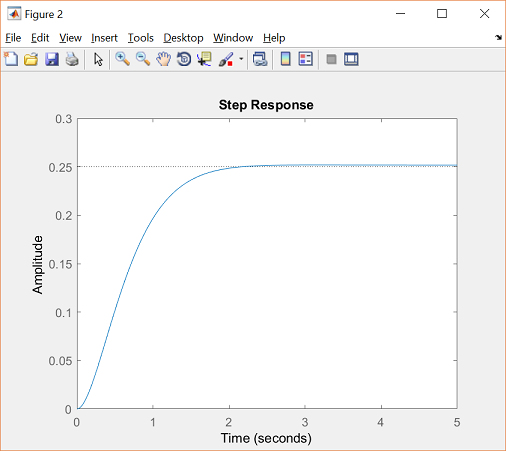 Try running your m-file several more times selecting a different point each time and study the effect this has on the step response. 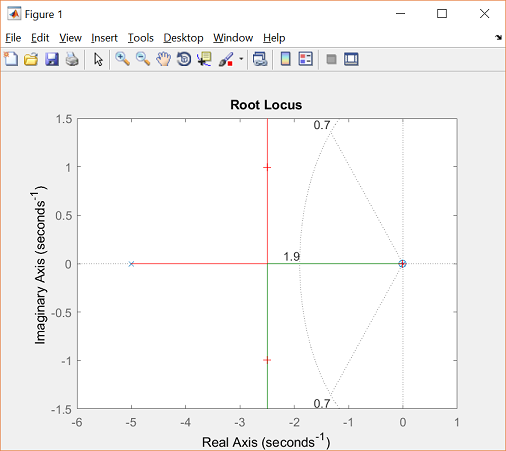 For practice you may also want to go back to the original open-loop root locus and try to find other ways to add zeros and poles to get a better response.